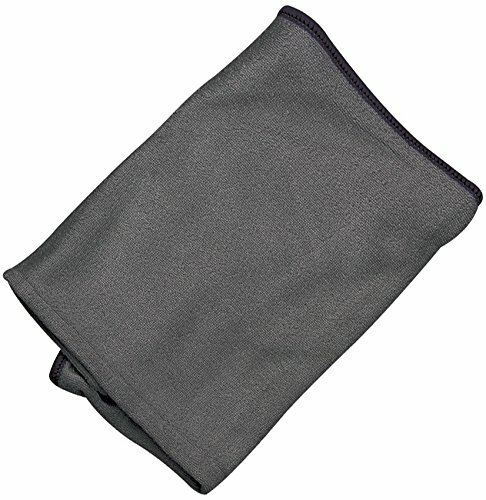 Flitz premium Thick 'n Thirsty Microfiber Cloth can absorb up to seven times their weight in fluids. 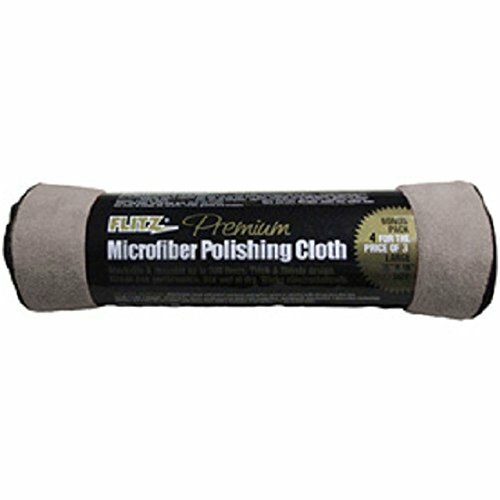 It can be used everywhere on any surfaces such as glass, auto paint, fiberglass, plastic, vinyl, leather, stainless steel, all metals, tile, ceramic, marble, granite and linoleum. Washable up to 500 times and it gives streak-free performance. 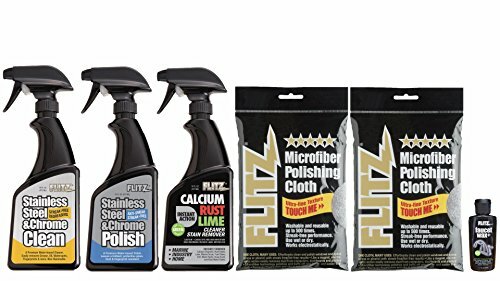 Behind every Flitz product is a team of people who share a passion for creating the highest quality polishing and buffing products. Over 28 years of leadership and experience are why consumers worldwide have come to depend on Flitz as a brand they can trust. This product is made to be used on most appliances in the kitchen. The premium stainless steel/chrome cleaner is water based and easily removes fingerprints, dirt, food stains, grease, oil water spots and more from brushed or polished stainless steel and chrome surfaces. Includes a powerful degreasing agent that cuts right through tough-to-remove residue with no streaking. Easy to use; just spray and wipe. The premium stainless steel/chrome Polish is water based and provides a brilliant, protective "showroom" gloss. Use on stainless appliances, elevators, gas grills, vent hoods, and even works great on porcelain, enamel finishes, painted finishes, fiberglass and plastics too. The calcium, rust, Lime stain remover safe on glass, aluminum, painted surfaces, fiberglass, stucco, brick, porcelain, brass and copper. Instantly removes hard water spots and rust stains caused by sprinklers, calcium deposits and stains, soap scum, Lime deposits, corrosion, tarnish, grease and oil. 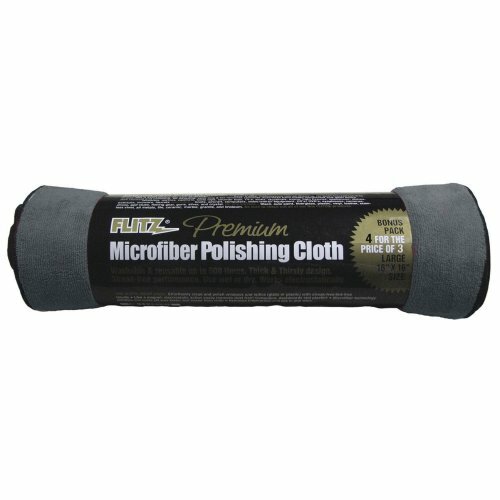 Flitz Premium Thick 'n Thirsty Microfiber Cloths can absorb up to seven times their weight in fluids. 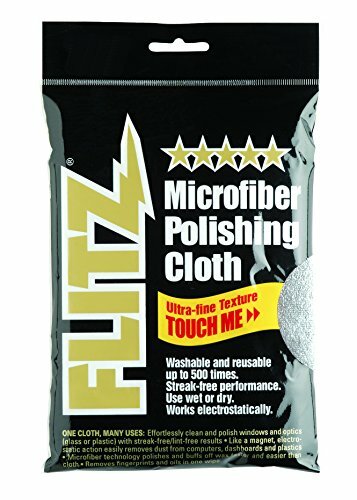 Use it everywhere on any surface, Glass, auto paint, fiberglass, plastic, vinyl, leather, stainless steel, all metals, tile, ceramic, marble, granite and linoleum. Washable up to 500 times. Streak-free performance. Use wet or dry. Don't buy one, buy two. Always good to have a spare cloth for special cleaning and polishing jobs. Large size measures 16" x 16". washable and reusable up to 500 times. Streak-free performance. Use wet or dry. Works electrostatically. Useful for cleaning windows, mirrors and optics. Removes dust from computers, video/stereo equipment, CD's/DVD's, cameras, guns, silver, crystal and much more. Polishes and buffs off wax easier and faster than cloth. Removes fingerprints and oils in one wipe. May be used on any surface: glass, plastic, auto paint, fiberglass, vinyl, leather, stainless steel, all metals, tile, ceramic, marble, granite and linoleum. Hang packaged. This product is meant to retain and maintain a shiny finish on appliances. The premium stainless steel/chrome cleaner is water based and easily removes fingerprints, dirt, food stains, grease, oil water spots and more from brushed or polished stainless steel and chrome surfaces. Includes a powerful degreasing agent that cuts right through tough-to-remove residue with no streaking. Easy to use; just spray and wipe. The premium stainless steel/chrome Polish is water based and provides a brilliant, protective "showroom" gloss. Use on stainless appliances, elevators, gas grills, vent hoods, and even works great on porcelain, enamel finishes, painted finishes, fiberglass and plastics too. 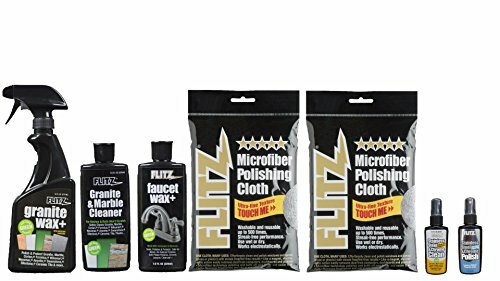 The Faucet wax plus seals, polishes and protects. Exclusive creme-like carnauba and beeswax formula won't scratch and is safe for gold-plated and oil-rubbed finishes. Clear coat, lacquer, acrylics, fiberglass, powder coat, polyurethane, granite, marble, cor I an, and other solid surfaces. Will not dull polished metal. 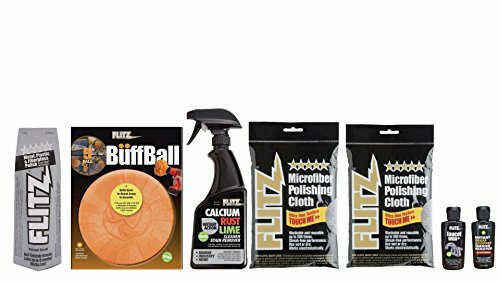 Use on: faucets, doors, outdoor lighting fixtures, tubs, showers, vanities, fireplace doors... removes and protects against fingerprints, carbon, soot, makeup, hair spray, soap and Lime despots. 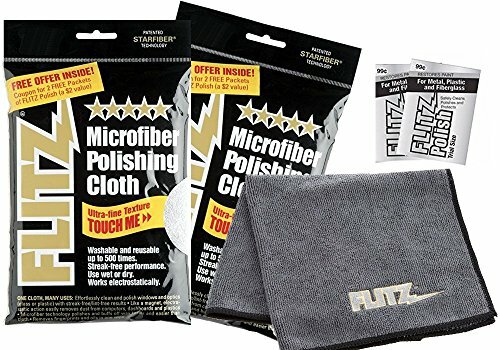 Looking for more Flitz Microfiber Polishing Cloths similar ideas? Try to explore these searches: Slide Bead, Vaico Outside Door Handle, and Bella Picture Frame. 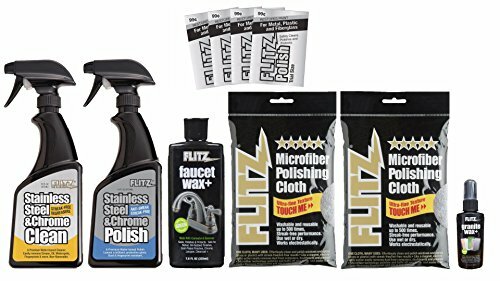 Ship Shape TV - Flitz Metal, Plastic and Fiberglass Polish - WOW! !